This book explores the ways in which discourses of religious, racial, and national identity blur and engage each other in the medieval West. Specifically, the book studies depictions of Muslims in England during the 1330s and argues that these depictions, although historically inaccurate, served to enhance and advance assertions of English national identity at this time. The book examines Saracen characters in a manuscript renowned for the variety of its texts, and discusses hagiographic legends, elaborations of chronicle entries, and popular romances about Charlemagne, Arthur, and various English knights. In these texts, Saracens engage issues such as the demarcation of communal borders, the place of gender norms and religion in communities' self-definitions, and the roles of violence and history in assertions of group identity. 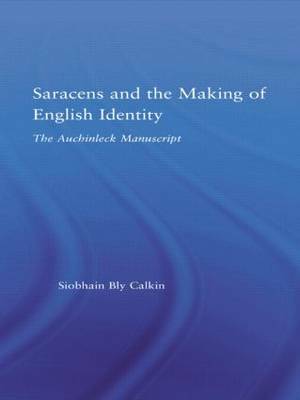 Texts involving Saracens thus serve both to assert an English identity, and to explore the challenges involved in making such an assertion in the early fourteenth century when the English language was regaining its cultural prestige, when the English people were increasingly at odds with their French cousins, and when English, Welsh, and Scottish sovereignty were pressing matters.